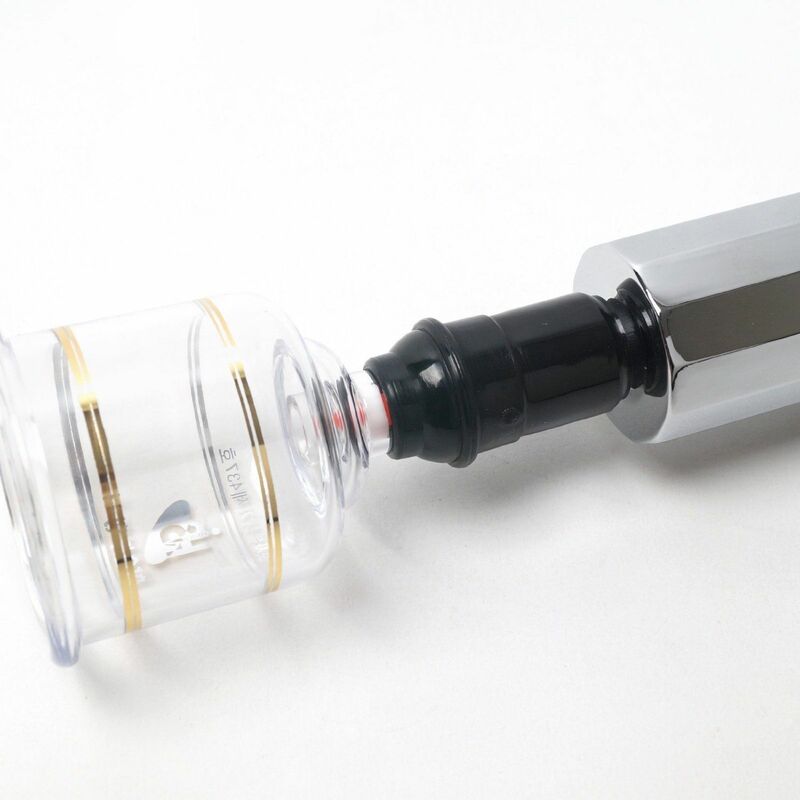 Plastic and Polycarbonate Cups are quickly becoming a users favorite when compared to traditional glass cups due to the plastic and polycarbonates being more lightweight, not requiring fire, alcohol or hemostats and by provide strong adjustable suction easily obtained with a pump gun. Plastic cups are a popular style of cup to use when trying or introducing cupping. Plastic Cups are lightweight and easy to use. Plastic Cups provide good suction. 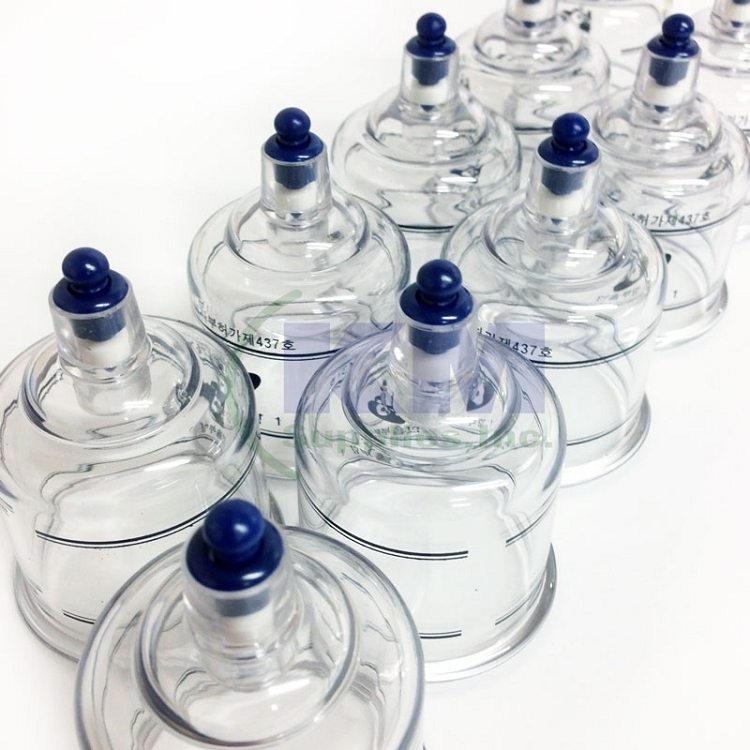 Polycarbonate Cups are the chosen material for Professional Cupping Providers and Experienced Cupping Providers. Polycarbonate is half the weight of comparable glass and provides up to 250 times the impact resistance making it more durable for frequent use and withstands abusive conditions. Polycarbonate can withstand temperatures of up 240 degrees for more options for cleaning and sterilizing. Polycarbonate cups provide and adjustable suction from weak to very strong. Polycarbonate cups with Plastic and or Silicone Valve and Pump Guns available. Polycarbonate cups are more expensive than plastic as are of higher quality material. Plastic Cups can be cleaned with warm soap and water. Can not withstand heat as plastic will melt. Polycarbonate cups can be cleaned with temperatures up to 240 degrees. Can be cleaned with warm soapy water, sterilized, and cleaned with alcohol products.